I recently had to battle through THE DOUBLE HOP OF DOOOOOMMM!! It was a very rewarding experience and I think every DBA should battle this beast at one time or another in their career. 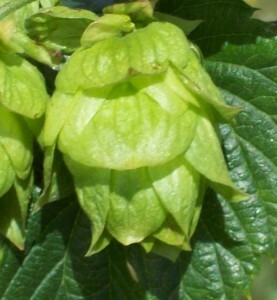 So what is a double hop? Let’s take a step back, what’s a single hop? A single hop is where you have your SQL server (let’s call it Server 1 for now) with a linked server (Server 2) set up. The hop is where you connect to your linked server. You “hop” from your local SQL instance to the linked server. Piece of cake. Now the double hop is where you have a client connecting to Server 1 but wants to access the linked server (Server 2). This becomes a bit of a headache when you are using windows authorization. I was trying to access Server 2 from the client and kept getting the great “NT AUTHORITY\ANONYMOUS LOGON”. After lots and lots of reading I realized it was more of a Active Directory issue than a SQL issue. Here is the best article I’ve found that explains how this all works. So how after battling active directory for a couple of days, I finally broke through the wall. It was a bit of a battle but we were able to break the anonymous wall and access the legendary linked server. Best advice – keep reading, keep playing with the SPNs.